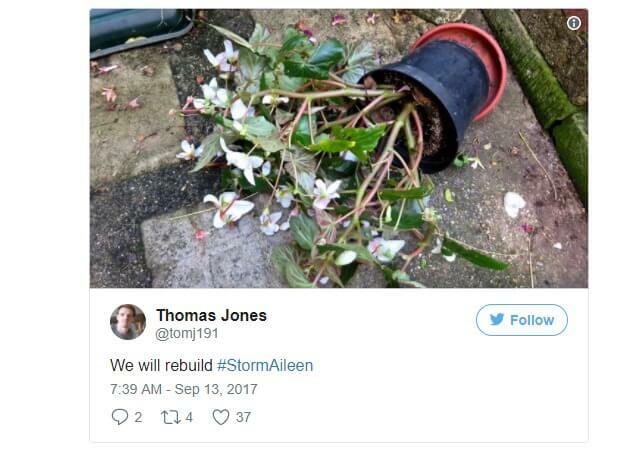 The devastation caused by storm Aileen which battered the UK have been captured across Britain in ‘never before seen’ photos. 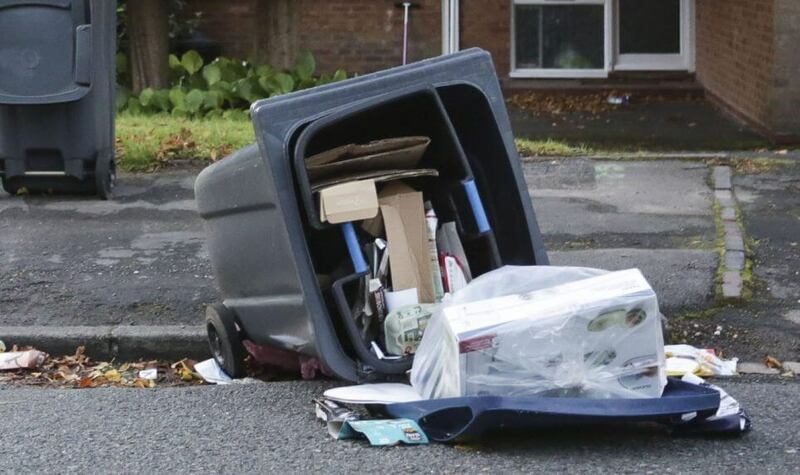 The first set of images show a black wheelie bin which has been blown over in a suburb of Birmingham during Storm Aileen. As the first named storm of the season battered parts of the UK, what appears to be recycling was sent into the road outside someone’s house. The sight was so shocking that a news agency went out and took these pictures for us and found the streets empty – either through fear or the fact it was still early morning. 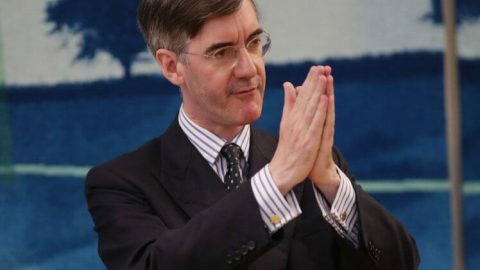 We cannot give the exact location of the fallen bin for security reasons, but the cardboard packaging from a four-pack of Baked Beans was seen lying on the tarmac. On the opposite side of the bin there appears to be some form of Italian crostini packaging and a box that looks like it once contained medicine. Other items managed to stay in the bin despite gusts of 75mph that could easily have blown the cardboard away. Thankfully the owner of the bin appears to have secured some of the rubbish in a plastic bag, preventing the further loss of recycling from the bin. 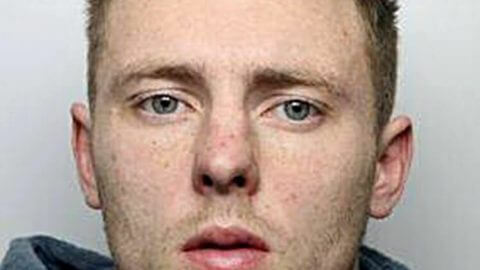 Police were not called to the scene and the fire service were not involved either. A clean-up operation was underway this morning and no road closures were put in place, despite around a quarter of the road being blocked. 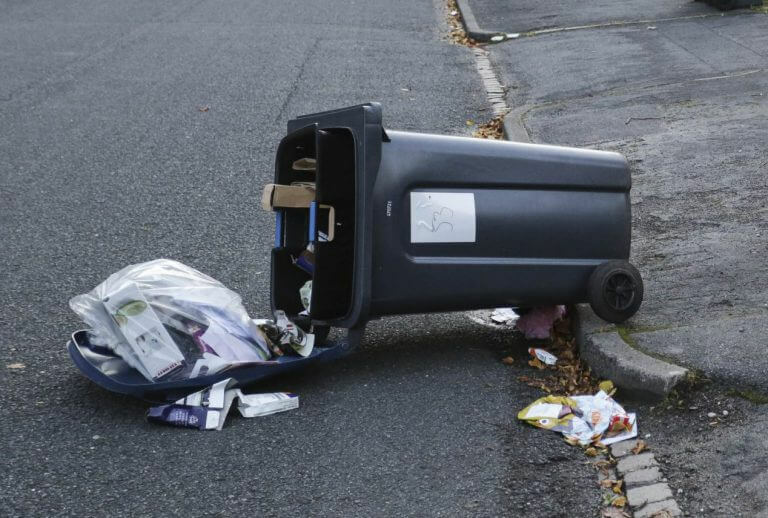 It is not clear if the bin and the contents that escaped have been cleared up yet and the damage is expected to cost nothing. If you’ve been affected by this story, please contact your local bin support network. 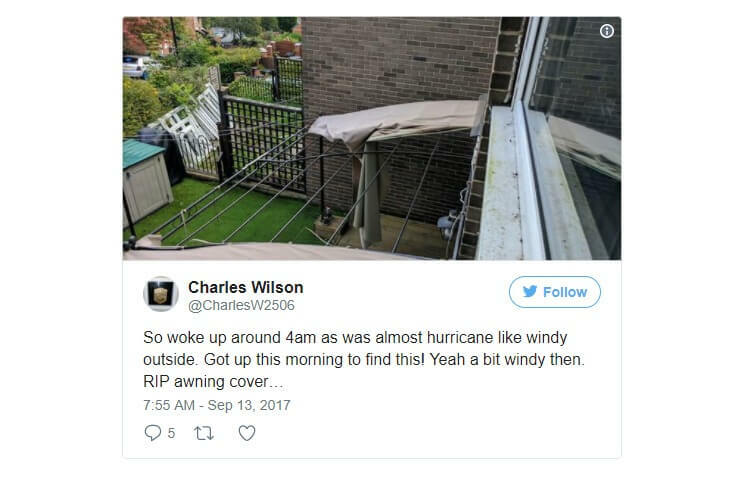 Meanwhile in Sheffield Charles Wilson woke up to find that his awning had been ripped off at the back of his house. 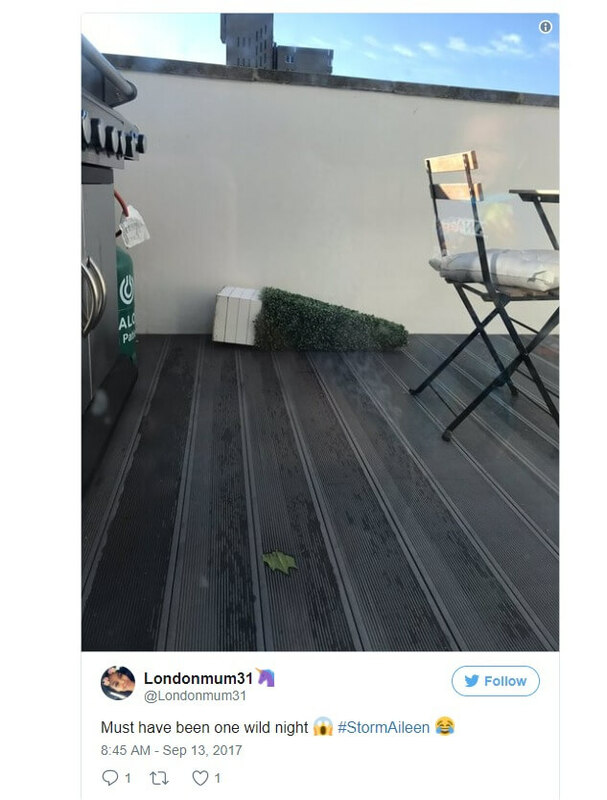 Thomas Jones posted this inspirational tweet from his home showing the horror of a fallen plant. The people of the Caribbean are praying for you, Thomas, we’re sure. 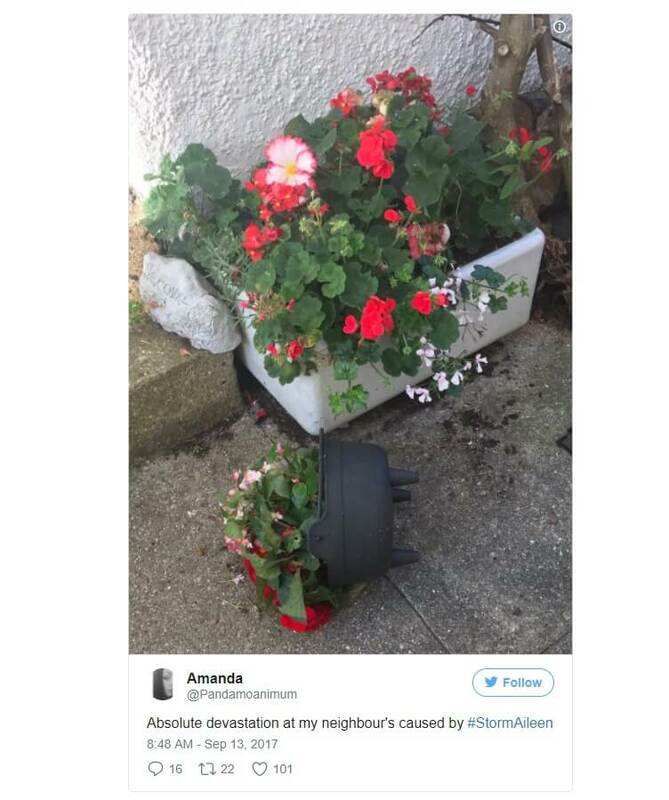 Too traumatised to reveal the scale of damage outside their own home, the owners of this plant pot had to rely on their neighbour, Amanda, to tell the world what had happened overnight in Kent.